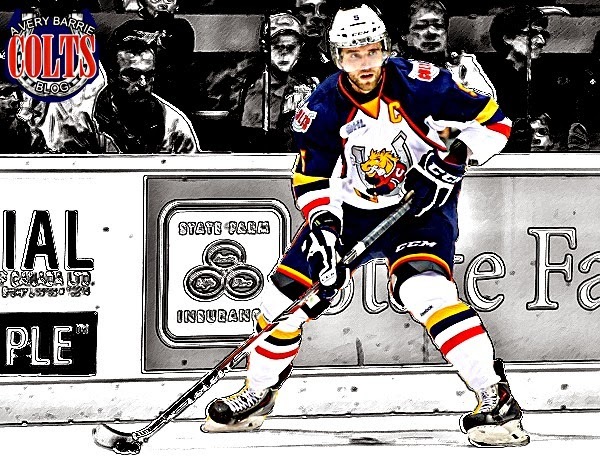 Barrie Colt 2014 Draft Prospects: Aaron Ekblad - Very Barrie Colts | A website covering the Barrie Colts of the OHL. Right now the NHL has Aaron Ekblad projected to go 2nd overall in this years NHL draft that will be held on June 27–28 at the Wells Fargo Center in Philadelphia, Pennsylvania. The 2013-14 season proved to be Ekblads most impressive. Having started the season being named the Barrie Colts captain, he would lead the team to end the regular season in second place in the Central Division. 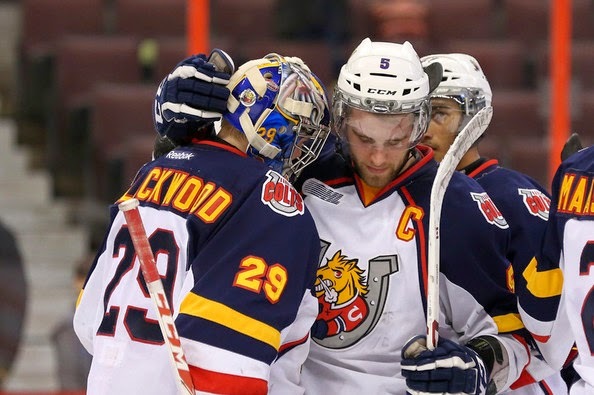 Ekblad led all OHL defensmen this season with 23 goals and was fifth in total points (for defensmen) with 53 points. The Colts were eliminated in the second round by the North Bay Battalion. Though they may have been eliminated earlier than many would have expected, it is not like Ekblad hasn't proven himself in the playoffs (He was also dealing with and missed time these playoffs with an injury). Ekblad has all the tools to be a success and shoouldn't need anytime to be NHL ready. Though Ekblad himself has said that he needs to work on his skating, you could say that he is just being humble. After all, even the most skilled players in the world see flaws in their games, it is the best players that do everything they can to correct it. Having seen him play as much as I have on tv and in person I honestly dont think it will hold him back (Or that it really is a "weakness"). Now that we mentioned his "weakness", lets take a minute to mention some of his best abilities. His vision is unreal. He has a bomb of a shot from the blue line that is not only freakishly heavy but accuate. Ekblad also has an incredible ability to controll the puck in all zones and is a great passer. And dispite his "weakness", he is a very good skater for a 6'3, 213 lb kid. Though the NHL has him projected as being the second pick, many believe that going first overall is not unrealistic. What it will come down to is a)who gets that pick and b)are they wanting a center with the overall skill of a Sam Bennett or a monster on their blueline like Aaron Ekblad.